Some weekend inspiration with this simple glass collection: three vases and two candleholders on the super mini shelf from IKEA. The small round vase is also from IKEA. 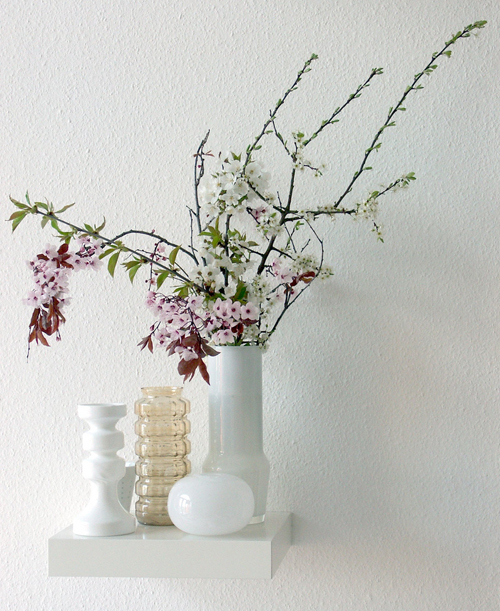 what an inspirating collection of vase! love it?